Are you preparing for a job interview, but don't feel confident enough? Employers and recruiters are the same people as you, and they also succumb to psychological tricks and prejudices, like all of us. Resumance has compiled a list of techniques and some psychological tricks that will help you look more likeable, competent and desired candidate. There is an opinion that this is the best time for the interviewer: he is relaxed, has already had time to drink coffee, his week is planned, but he isn't tired of the affairs of the workers. Therefore, if the recruiter gives you some flexibility in choosing the time for an interview, suggest Tuesday 10:30 am. It turns out the color of clothes can tell others what qualities you have. Think about what to wear for an interview, choose the right image to show only the best character traits. white color is a sign of an organized personality, and brown is a sign of reliability. The movement of the hands and the body language are very revealing. If you keep your hands open, this characterizes you as a sincere person, when you touch the tips of your fingers, you are a self-confident person. Don't turn your palms down, this indicates a tendency to dominate. Also, don't hide your hands under the table, people may think that you are hiding something. Tapping your fingers on the table is a sign of impatience, the hands folded on your chest is a sign of frustration, of fear. Too active gesticulation speaks of nervousness. We like people with whom we have something in common. Therefore, if you know that the interviewer appreciates, for example, volunteering, and this is also close to you, find an opportunity to mention this fact. Ideally, it should look like you're "dancing" with another person than you will demonstrate that you're interested in a conversation and you're a team player. If your interlocutor leaned in his chair and put his hands on the table, don't hesitate to do the same. Try to do it not too clearly, so that it's not noticeable that you copy someone. The researchers found that candidates who said something nice and sincere were more likely to be hired. Praise the company and the interviewer, demonstrate your enthusiasm, loyalty to the organization. But the main thing - do it with a pure heart. 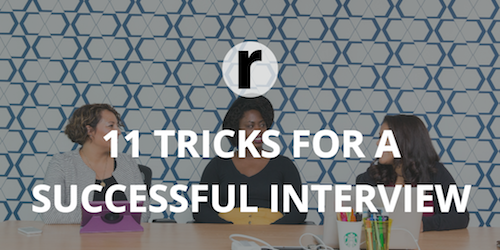 In order to make a positive impression on the interviewer, you should tell about past projects, initiated by you. If you can prove what a great contribution you made to the success of the company, then most likely the interlocutor will be impressed by you. But don't overdo it, don't over-praise yourself. Studies show that people can easily make themselves look more confident in business situations. It's enough to take a pose of strength in just a few minutes. This can be done before entering the office and during a conversation. For example, sit on a chair, relax your back and shoulders slightly, lean on your elbow. Avoid monotony in your speech - it's boring and uninteresting. For example, if two people speak the same words, but one of them speaks faster and louder, makes fewer pauses, changes intonation, it will be perceived as energetic, skilled, intelligent. In one experiment, scientists tried to understand the reason why nervous candidates are less likely to get the desired job. As it turned out, the chances of such people are reduced not by nervous behavior, but by the fact that they seem less affable, competent and even frightened. In addition, they're talking more slowly. It's very important to tell the recruiter about your past achievements, but it needs to be dosed. Give most of your speech to what you will do in the future, if you're asked to join the team.